Debuting in 1984, Miami Vice was a smash hit for NBC, spawning millions of fanatic fans that dressed, walked, and talked like Sonny Crocket and Rico Tubbs– aka one of the all-time great white guy/black guy “bromances” in television history. 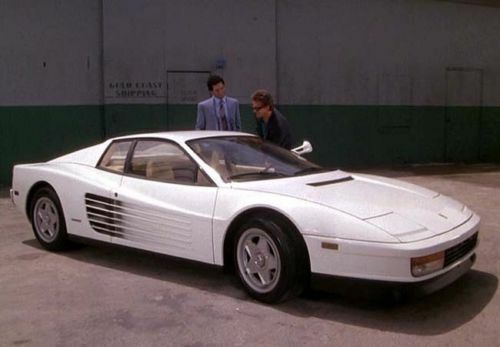 Yes, there is no doubt that Miami Vice’s style permeated throughout the entire 80s culture, and this is now being reflected by a piece of Vice memorabilia: Crocket and Tubbs’ 1986 Ferrari Testarossa. Currently, this slick ride is being sold on eBay for an astonishing $1.75 million. 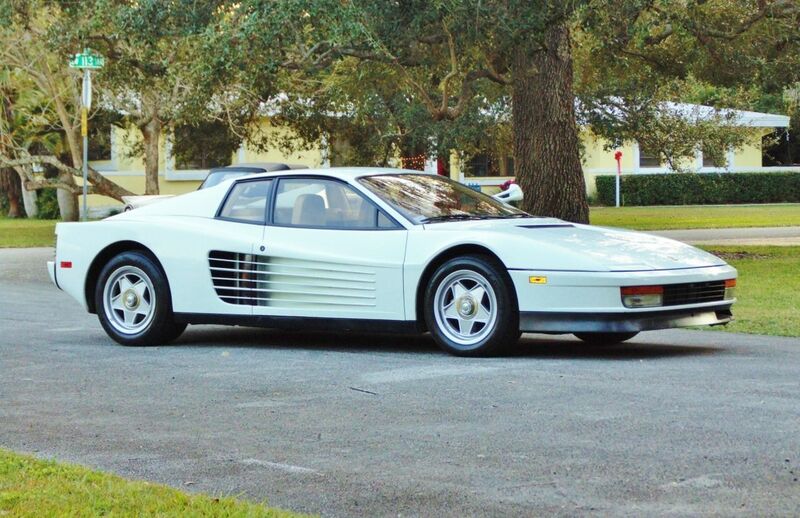 Considering that the Hagerty Price Guide Report says that a pristine Testarossa should go for about $93,500, you can see just how fanatic the seller thinks that some Miami Vice fans are. According to the seller, he has all of the service paperwork and documentation to confirm its legitimacy. His profile says that he has had the car for three years now, and before his purchase, the car was last sold in 1991 and has sat in a Miami garage for years, giving it only 16,000 miles on the odometer. But how could that even be possible, considering the amount of high speed chases and collisions shown on the show? Well, that’s because the show used a re-bodied De Tomaso Panteras as a stunt double for all of those scenes, leaving the Ferrari undamaged and ready for its Hollywood close-ups. As far as the specs go, this Ferrari has a 4.9-liter 12-cylinder engine that cranks out a solid 390 horsepower. The power is sent to the rear through its five speed manual transmission. But still, isn’t $1.75 million a little steep. Maybe not. Just last year, the original Batmobile from the Adam West television show sold for a mind numbing $4.62 million!!! This entry was posted in Culture and tagged $1.75 million, EBay, ferrari testarossa, miami vice, sold. Bookmark the permalink.